The Detroit Lions and the Green Bay Packers meet on Monday night at Lambeau Field. ESPN has this heated rivalry in prime-time on Monday Night Football. Kickoff is set for 8:30 pm EST. Oddsmakers opened the Lions as 2-point favorites versus the Packers, while the game’s total opened at 43. The line has held pretty steady throughout the week. The Packers looked like Super Bowl contenders until Aaron Rodgers suffered a broken collarbone at Minnesota on Oct. 15. The Packers lost the game. They then lost at home against New Orleans on Oct. 22. The Packers had a bye last week. The Packers needed the bye week to try to fix a defense that gave up over 500 yards to the Saints. They also need to work on an offense that will be a shadow of itself after the Rodgers injury. Brett Hundley has four interceptions in his two games at QB. Both ended with a sub-40 passer ratings. 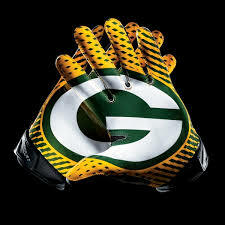 Green Bay has scored 27 points the last two games after averaging 27 points in the first five games. The Lions have dropped three in a row after a 2-0 start. They have some issues as well. In last week’s 20-15 home loss against the Steelers, Matthew Stafford threw for 423 yards. The Lions could only score five field goals by Matt Prater. Detroit went 0-for-5 in the red zone. Detroit ranks 28th in that category. The Lions defense ranks third in the league with 16 takeaways and 10 interceptions. The Detroit defense held Steelers running back Le’Veon Bell to 76 yards on 25 carries. Bell had a long run of only 8 yards. Stopping the run plays into the hands of a big-play defense. Cornerback Darius Slay and safety Glover Quin have three interceptions apiece.